Pond and lake aeration is extremely important for the maintenance of your pond or lake. 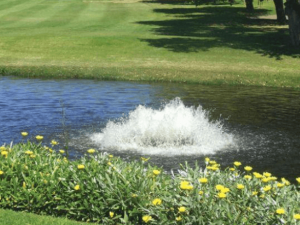 The process of aeration includes infusing oxygen into your pond or lake, helping to maintain the ecosystem of your water as well as improving the overall aesthetics. 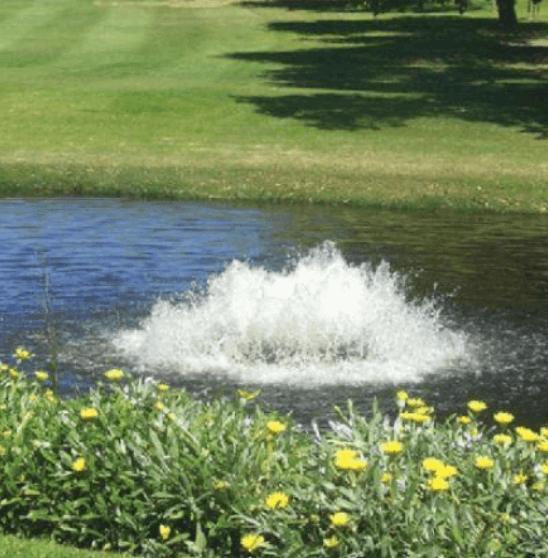 By adding a surface aerator to your water, you’ll be able to produce high volumes of water to the pond or lake’s surface, which helps mix in oxygen. Here at ProPond & Lakes, we offer leading brands in surface aerator systems including Kasco, Aqua-Master, and Otterbine. For any questions you have about our available surface aerator systems, give us a call today at 800-305-3277 to receive a free estimate. As leaders in pond and lake management, we can offer you a variety of pond surface aeration systems perfect for your pond or lake. Offer a high dissolved oxygen level without a high operating cost. Lubricated with flood oil lubricant for better heat dissipation. Corrosion resistant, stainless steel design to withstand salt water or the elements. Ability to increase fish growth and populations with fewer instances of bottom turbulence. All of the Kasco Marine Aerators offered at ProPond & Lakes are lightweight, self-contained units that will float on the surface and can easily be installed and maintained. Two or three mooring lines will hold the units in place while a single power cord will run to shore. If you are looking for surface aerator that provides maximized aeration and a low profile, the Volcano II and Hydromax Aeration Series could be the right system for you. Because the system can produce a high GPM pumping rate and has excellent oxygen transfer capabilities, better aeration is attainable. While the system is in place, it can provide a continuous cycle of oxygen circulation and induced wave action to prevent thermal stratification in your lake or pond. We carry both the AquaMaster Volcano Series 1/2HP – 5 1/2 HP. All of our Aqua-Master products are custom built, you can contact us to receive a customized quote. 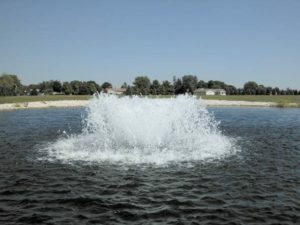 From low profile designs to horizontal mixers to better water quality management, the Otterbine Industrial Surface Aerators are a unique aerator line available in both surface and subsurface options. 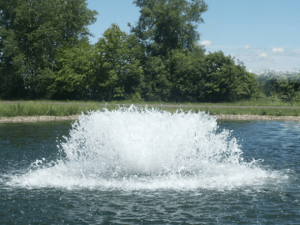 The stainless steel casing and low-speed motor of an Otterbine aerator boast more protection against aquatic environments and longer use. High Oxygen Transfer Rates (OTR) and pumping rates to effectively improve water quality and maintain temperature. Has low amperage system meaning less electrical consumption and lower cost. 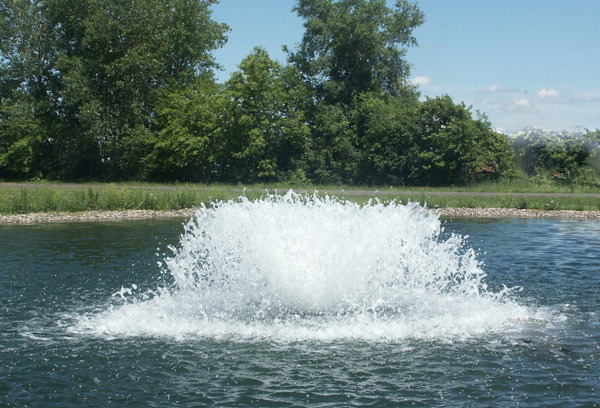 Our Otterbine Aerators are custom-built for every client. Please contact us to receive a quote. 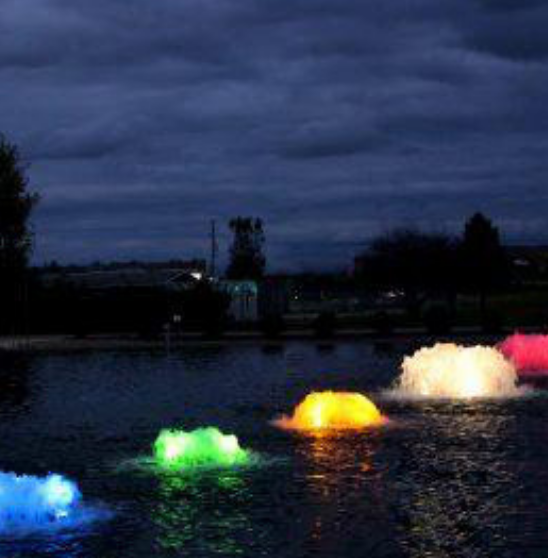 The aeration system you choose for your lake or pond is an important decision. Having the right system means operating at an optimal level with easy maintenance. Our staff at ProPond & Lakes has extensive knowledge in our surface aerator systems, helping you pick out the right system the first time. 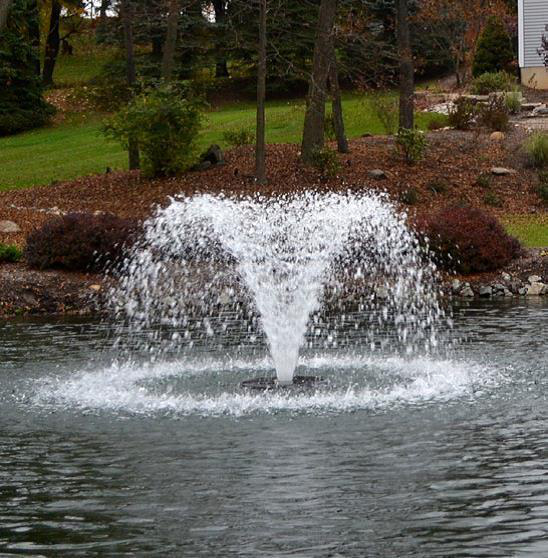 We are your trusted fountain and aeration supply company in Connecticut, New Jersey, New York and throughout the United States. We offer top quality surface aerator systems and great customer support. Place your order online or call our office today at 800-305-3277 to receive a professional recommendation for your pond or lake.